You should make it a point to revisit your SEO (Search Engine Optimization) strategies for the coming year to pinpoint areas that you can improve upon and benefit from. Search engine results pages (SERPs) can be divided into two categories, organic search results and paid search results. Ranking well on organic search engine result pages is essential and is a primary goal of search engine optimization. Organic search results comprise the majority of clicks from search engines, with many sources claiming as much as 80% of all search engine traffic. 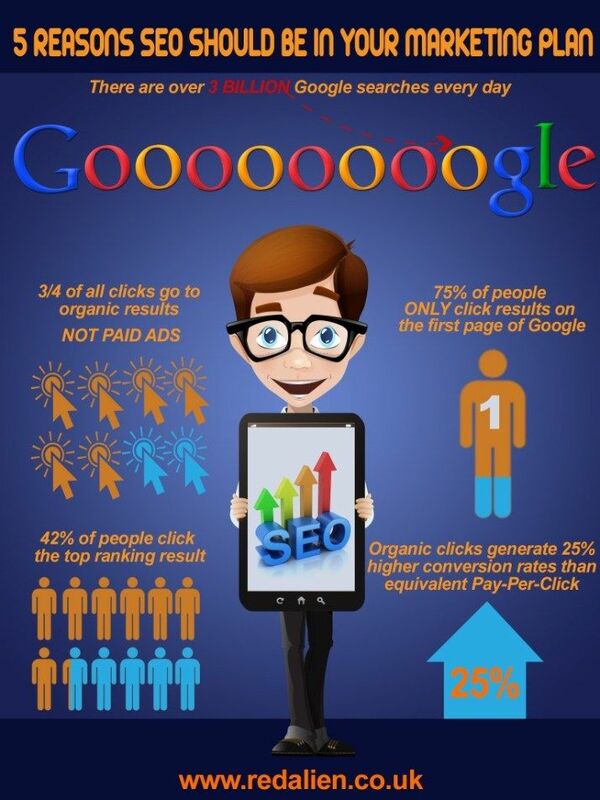 *70 percent of links that search users click on are organic results. *70 percent to 80 percent of search users ignore paid search ads. *75 percent of search users are not clicking past the first page of search results. For high-quality, highly effective SEO, best practices are essential. You need to follow the latest, most relevant search engine optimization tips to develop and maintain a leading online presence in your sector. Arguably the single most important factor for a successful SEO effort is buy-in. Everyone in the organization who can have an impact on SEO needs to fully support these initiatives and do their part to improve the company’s digital presence. This is more of a challenge than it may seem at first glance. Due to its sudden rise in popularity, many believe that SEO was nothing more than a fad, one which can now be safely ignored, or at least downplayed. In particular, they point to the ongoing changes to Google’s search algorithm and page ranking policies as evidence that SEO strategies are doomed to come up short. As Forbes contributor John Rampton recently asserted, though, this is far from the truth. He explained that it is very possible for firms to keep pace with these developments and to react in an effective, timely way. But again, this is only possible if employees at every level are able and willing to put forth the necessary effort. Additionally, Rampton pointed out that despite these changes, many of the basic principles underlying SEO strategies remain sound, no matter what. A good, solid approach to SEO will yield benefits even as Google tweaks its algorithms. Lastly, the author noted that SEO is not nearly as complicated as many decision-makers believe it to be. While it is true that there are a number of technical aspects involving website design and the like, SEO ultimately boils down to some fairly straightforward factors: identifying useful keywords, using those keywords in original content and analyzing site traffic over time. This means that you don’t necessarily need to have a person on staff who has a lot of SEO experience – it’s more a question of time and dedication than expertise. That being said, it is important for business leaders and anyone responsible for SEO within an organization to keep informed of how this field changes over time. General trends can determine the best strategy for your firm’s online content. For example, Search Engine Land contributor Jim Yu noted that SEO best practices formerly centered exclusively on keyword usage. Later, though, the quality of the content started to matter more and more, while keyword use remained an important component. Now, Yu explained, one of the most important recent developments in this field is the rise of mobile. He pointed out that Matt Cutts of Google recently suggested that there is a very good chance that mobile queries will surpass desktop queries in 2014. As more people turn to their smartphones for search, companies need to react by making sure their websites are optimized for a mobile experience. For many companies, responsive design is the way to go when it comes to mobile websites. Writing for Business 2 Community, Jason Bowden argued that responsive design should be seen as a matter of both web development and SEO. Responsive design is a relatively easy way to make sure that your website is appealing, attractive and highly functional for mobile visitors. For one thing, Bowden pointed out, responsive design can help a company’s link-building efforts. A major challenge that firms face when building links is the possibility of link dilution. Link dilution occurs when a particular page has too many outgoing links – each one of those links loses a lot of its power and effectiveness. The more links you add, the more extreme this effect. According to Bowden, though, responsive design can help to ensure that links flow efficiently back to the home site while simultaneously keeping all social links in a single, visible location. All of this goes to improve SEO efforts. Additionally, the writer argued that responsive web design can improve a number of key aspects of the mobile experience which improve visitor satisfaction. For example, responsive design solutions can ensure that the text size and color of the website are adjusted to accommodate a mobile device’s smaller screen. Furthermore, implemented elements can download more quickly, thanks to the more efficient display of images and content. One last factor to consider when pursuing SEO is email. This may seem counterintuitive – it’s not often that SEO and email are mentioned in the same sentence. But as Daniel Faggella argued in a separate Search Engine Land report, email can actually have a major impact on SEO results. For one thing, emails can encourage consumers to visit and engage with your company’s online offerings. “Email might not help you rank in and of itself, but an email incentivizing comments and sharing can help ‘move the needle’ on the factors that Google wants to see in the first place,” Faggella wrote. He further explained that emails can give extra life to a blog or social media post. While these offerings should receive a fair amount of organic engagement, by emailing your subscribers when new pieces become available, you greatly expand your potential visitor total, which helps your search engine rankings. Faggella also explained that emails can contribute to SEO if you repurpose their content. He noted that email newsletters take a while to write, and there’s no reason not to get maximum value out of it. Posting portions of your email messages on your website can improve SEO and improve content creation efficiency. What SEO strategies have helped your company increase traffic? There was a time when the primary concern of bloggers was search engine optimization (SEO). Since then times have changed to an extent. SEO is still a vital consideration, but it now shares the platform with another, equally important element: user engagement. Most SEO’s will tell you that a page with a bounce rate of 90% and up probably won’t rank high on any search engines. It won’t matter how much you try to optimize the page off-site, there is only so much you can do with horrible bounce rate figures. This complicates things for online publishers, but it’s actually a positive development. User engagement focuses on human interaction, not search algorithms, which is good for publishers with quality content because they can compete based on the merits of their content and the experience they offer users — not just how well they play the search game. To win the race to draw more clicks, views and more interaction you need a simple, yet important element on each and every page: images. Images highly support SEO and user engagement, so by using quality images in a productive manner, bloggers, online publishers, and marketers can boost their search engine rankings and their engagement with readers. SEO has become synonymous with keywords, due in large part to the ubiquity of keyword stuffed online. Today’s search engines are, of course, far more sophisticated, but that doesn’t stop keywords (when handled with finesse) from having an effect. Nonetheless, quality and relevant content usually trump any black hat technique in the long term. Yet, quality and relevant content can still be lost in the shuffle when it comes to SEO thanks to how steep the competition is. One way to boost search engine rankings — when there’s already quality textual content — is the inclusion of high quality content related images for SEO. A good image is always related to the text. Part of the reason for this is the growing popularity of image searching via search engines: i.e. Google Image Search and similar services. These searches have reached a level of sophistication that allows them to serve content users what they want, when they want it — and users frequently want images — so their popularity has exploded. Which means what? Companies with search engines (such as Google and Facebook) are putting more time, effort and expertise into indexing and rating images for SEO on websites to serve users content. If you need proof that this has been happening for a while, you can just check out the wiki page of Face.com, it will give you an idea how much money these companies are willing to invest into understanding images. The relevancy and quality of those images is being used to affect your site’s search engine rankings. Even if you’re not serving images, which users are explicitly searching, the images for SEO on your site matter. Indexing is taking into account alt text, file size, and file name, in addition of course to bounce rate. Bounce rate is the time the user spends on the site they’ve chosen before heading back to the search engine. It’s important to both the SEO and user engagement aspects of image inclusion, because it affects one and is an indicator of the other. A bounce rate that is too high (that is, users are clicking through to your site and quickly abandoning it) will negatively affect rankings; it is also a good indicator that your levels of engagement aren’t optimal. Too few images, and images for SEO that are low quality or irrelevant, can lead to high bounce rate. Images are good for view rates. In fact, articles featuring images get 94% more total views, which is quite significant, but if your view rates are increasing along with your bounce rate, you may find that the benefit cancels itself out. So, images have become vitally important to SEO but those images must be worth viewing, and must be a catalyst for engagement. As mentioned above, studies show that images result in 94% more views, which shows a clear user bias toward articles with images. So how important are images to engagement, really? Very important. Photos and videos in press releases increase views by 45%, which is significant because users view press releases for very specific purposes. Usually a user reading a press release is considering increasing their engagement with the company mentioned in the future. Over half of consumers are more inclined to contact businesses which include an image in their search results locally. Over half of consumers are more inclined to contact businesses which include an image in their search results locally. When purchasing a product online, a staggering 67% of consumers note that the quality of the image depicting the product is of great importance in following through with a purchase. In fact, most users feel that the quality of the image outranks its description, its specifications, and even ratings or reviews. And when it comes to Facebook, engagement with photos is 37% higher than engagement with text. In short, the importance of images to user engagement simply cannot be overstated. Again, however, with a caveat: users have high standards for images, as they do for all content now. Images should decidedly add to the overall user experience to increase interactivity and SEO. Images also provide something else: the opportunity for quality, engaging monetization. Their appeal to users and their potential to improve the user experience make them ripe for monetization, if it’s done in a tasteful, engaging, experience optimizing manner. In-image advertising is one way to take advantage of the value of images while improving user experience, views, and engagement. In-image advertising also has multiple advantages over traditional advertising; it isn’t subject to “banner blindess” (the phenomenon of users ignoring content-extraneous advertising), and it can be fully integrated into content in an engaging manner. Of course, all of the advantages and benefits that images can bring to your blog, publication, or social media interactions depend upon the ability to source quality, relevant images. This can be simple for certain marketing goals, because the content lends itself to image collection. For other goals, and for independent bloggers and publishers, it can be a more complex procedure. There’s a way to streamline the process for those who wish to monetize their sites with in-image advertising. In-image advertising platforms like imonomy (full disclosure: I work here) can actually provide content in-image ads packaged with high-quality, content-relevant images. For example, if the content is a recipe, the image might be a photo of relevant ingredients being mixed with a commercial mixer; should the user mouse over it, they could be presented with links to ads for kitchen appliances. The recent success of sites like PlayBuzz, BuzzFeed, Viral Nova and Bored Panda is mostly attributed to their emphasis on putting images in the spotlight. Most viral content websites today know that an interesting thumbnail is sometimes all you need to create a viral news post. Ask yourself this, would these images be even remotely successful without their heavy systematic use of engaging images? Users want images and they are far more willing to view a site which hosts images, and far more willing to engage with a site that hosts high quality images. Images are key to increasing SEO and user engagement. Ambitious marketers and publishers should take advantage of this, not only by serving their users the image-based content they want, but by marrying those images to non-intrusive, exceptionally relevant, interactive in-image advertising. Banners and textual ads have become easy for users to ignore. However, users can’t ignore the very quality content they’re clamoring for, so long as the ads are delivered in a positive, experience enhancing way. The way I see things might astonish some of you, but I think the next trend is going to be sites with much less text. Today people are talking how words equal better SEO and I don’t necessarily agree. I personally like to think that content will be reviewed by search algorithms in a much more advanced way. In the next couple of years, text won’t be the main things algorithms try to understand, the reason? A picture is worth more than a thousand words.